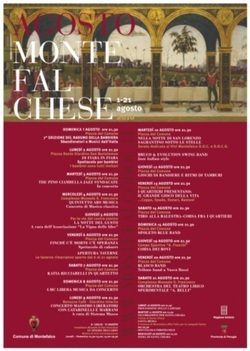 All the month of August Montefalco offers several events. Typical folklore event is the so called " fuga del bove " . 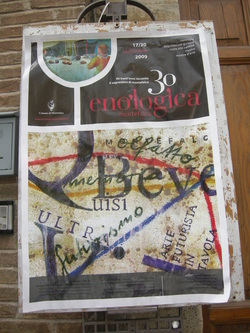 In the second week of the month each city district prepare artistic shop points along the main streets of the city. In the third week of the month there is the fair of Saint Clara with street stalls . 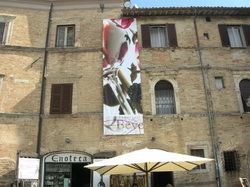 Open cellars ... Wine street of Sagrantino Montefalco (Pg). Sagrantino Wine Festival is the main event regarding wines of Montefalco Doc e Docg, organized by Montefalco town hall in cooperation with the association "La Strada del Sagrantino". It includes a market exhibition of wines of Montefalco Doc e Docg, that will last 4 days from thursday till Sunday of the second half of September..